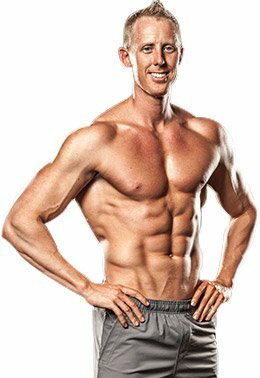 Darren Conroy helps hook up fitness fanatics worldwide with Bodybuilding.com products. He has also competed in 12 amateur shows, and aims to be a pro. Don't you dare tell him he's too tall to make it happen! Darren was a scrawny kid growing up, but now, in his early 30s, he has a stacked back and a balanced physique. 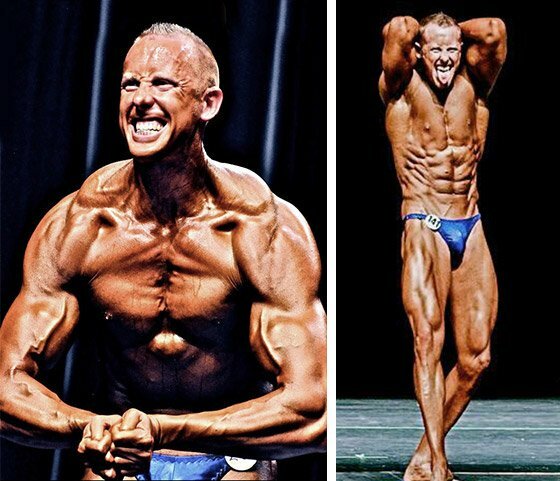 Since 2010, Darren Conroy has competed in 12 amateur bodybuilding shows and he&apos;s won 5 of them. 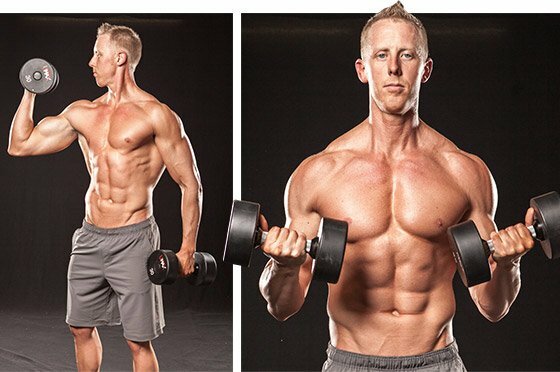 This former self-described "wimp" is now a veteran of the stage and a weight-room fiend. He&apos;s also one of the many employees at Bodybuilding.com who not only competes, but also helps people worldwide achieve their dreams of doing the same. When a pallet packed with whey and pre-workouts touches down on a tiny island in the Indian Ocean, Darren helped make it happen! What is your position at Bodybuilding.com? I&apos;m a logistics support specialist. I handle high-dollar orders, domestic and international, anything big enough that it requires a pallet rather than just a bunch of boxes. To make this happen, I work as a liaison between our purchasing department, customer service, our warehouse, and our logistics team. I&apos;m part of the glue between all those departments. I try to keep all of them on the same page so that we can get people what they want, in large quantities. Who places those large purchases? One of my favorites is the island of Mauritius, near Madagascar. Not a lot of the people on that island have Internet access. They don&apos;t have a lot of computers, but they do have gyms down there and they like to live the lifestyle. This customer takes on orders for all the people on the island and collects money from them. Then he places these huge orders with us and we ship it all down there with one consignment. It reminds me of the video game "Call of Duty," how the packages come in. Those "care packages" allow us an opportunity to make an impact on these tiny places in the world—places I didn&apos;t even know about when I took over this position. What has this position taught you? The world is so big, yet it is so small. Dealing with people in different countries on a regular basis lets you see how different cultures operate. But, at the same time, everybody is on the same page when it comes to health and fitness. Being a guy in Idaho, you never think that there are so many people out there whom we affect on a daily basis. It&apos;s amazing. Based on what I see with our international customers, they embrace Bodybuilding.com. They feel like they are welcome, just as much as we do domestically. That&apos;s a door we&apos;ve been able to kick open. I think with a lot of other companies, it&apos;s all here, but our logos are everywhere. When people in other countries view Bodybuilding.com, they don&apos;t look at it as a U.S. company. It&apos;s a global movement. What are your goals in the gym? It&apos;s a cliche, but I&apos;m simply trying to be better than I was yesterday. The gym is my happy oasis. When my headphones are on, the world is off. Growing up, I had a lot of insecurities. I was skinny and wimpy. I would have never thought that the lifestyle of health and fitness and trying to gain muscle would be an option for me. I had some guidance, and once I got hooked, I changed pretty quickly. I used to be terrified of taking my shirt off around anybody. You could see my ribs! I was an insecure, skinny mess. Now I do bodybuilding competitions where I&apos;m up on a stage in front of hundreds of people with next to nothing on! It&apos;s amazing how exhilarating it is when you face that fear. Growing up, I had a lot of insecurities. I was skinny and wimpy. I would have never thought that the lifestyle of health and fitness and trying to gain muscle would be an option for me. What is that really like, standing out on that stage? The first time I was terrified. I could see the people, but the lights were in my eyes. Once I got centered, I took a quick look around. One of my buddies told me that one way to get rid of the nerves was to always look toward the back of the building—don&apos;t focus on anybody. I was trying to stay focused on the poses the judges asked for and doing everything I practiced. I was number 18 at my first show, and everyone started yelling out "18!" I started hitting poses and they were cheering for me. I went from being nervous and timid to embracing the reaction I was getting from the crowd. All I had to do was flex my muscles and all these people would clap for me. At that point, it instilled confidence for me. It was exhilarating. I made a point to engage the crowd. That&apos;s the best feeling in the world. They are looking at the finished product of what I&apos;d been working on for a year. It&apos;s a fulfilling experience, and it forced me to do 11 more shows after that first one! I made a few sophomore mistakes. If you have a good showing the first time around, you get overconfident and you think all the little things are just going to fall into place. I realized quickly that you have to master those little things if you want to be good. In my second show, I had a worse showing because I was overconfident. You learn from the good and the bad. Ultimately, I&apos;m getting better. The placings have always been good. I don&apos;t think I&apos;ve ever been ripped off at a show. The judges usually score me pretty fair—and I&apos;m not saying that because I&apos;ve won most of my shows. The ones I have lost, they&apos;ve gotten it right. No one wants to lose. You have to concentrate on what you&apos;re doing. You can&apos;t win every show. You have to look at it as a positive experience no matter what. How far can someone as tall as you go in this sport? Someone really close to me over the last few years helped me rethink bodybuilding. For the longest time it was all "win win win, get a pro card, be a pro, and win as a pro." I am grateful for this experience I was able to have with this person, because it tweaked my way of thinking. You don&apos;t have to prove anything. Go up there, give it your best, let the cards fall where they may, and enjoy the process. I still like winning. There&apos;s no doubt about that. You don&apos;t diet and do all this other stuff just to lose, but I&apos;m content now with going up there, having a good time, and giving the crowd something to cheer for. I have a lot less to prove after 12 shows. There aren&apos;t many 6-foot-3 bodybuilders out there. We&apos;re an endangered species. People like me aren&apos;t supposed to be bodybuilders. That keeps me hungry and in the game. I still have hopes of becoming a pro; that&apos;s the next step for me. I&apos;ve been a runner-up for a pro card four times. It&apos;s tough when you get that close and you don&apos;t win. Once I get pro status, I think I&apos;ll be at a crossroads. I&apos;ll either commit myself to getting a good placing as a pro, or be content with just having that pro card. If you get that card, it means you were the best guy in the house that day. That would be a big accomplishment for me. That said, there aren&apos;t many 6-foot-3 bodybuilders out there. We&apos;re an endangered species. People like me aren&apos;t supposed to be bodybuilders. That keeps me hungry and in the game. There&apos;s nothing better than going out there and showing people that they&apos;re wrong. Do you think down the line taller competitors may have a better shot? The possibility is there. Many of the taller competitors take themselves out of the game. They say their muscles are too long, or their muscle bellies are too thick. We can&apos;t stay pumped up on stage as long as a guy who is shorter. A lot of people say, "I can&apos;t do it. It&apos;s not going to be a good experience. I can&apos;t do this, I can&apos;t do that." I&apos;ve had judges tell me I am disproportioned. It&apos;s a cruel sport, but they are trying to give you positive feedback to help you get better. You have to take that and use it. Bodybuilding will continue to be a short man&apos;s sport. All the evidence over the last 30 years has shown that. Taller guys will continue to thrive in the physique competitions, and many people have told me to switch over to physique. That&apos;s why physique was born. But I&apos;ve been working too hard on my legs the last few years to cover them up! I love doing pull-ups! There&apos;s a story behind it. When I first started training, I was a one-dimensional stick. This guy I looked up to was a little bit older, and I was asking him questions. I was 21 and I told him I wanted to be a bodybuilder someday. He didn&apos;t have the most motivational things to tell me. He told me I was too tall and would never have any success, and I&apos;d never have a well-developed back . He could have gone after my calves—hell, they&apos;re still skinny. I was looking for him to say I had a shot, to stay motivated, stay consistent. He said everything but that. I could have either thrown a pity party and called it quits, or I could keep going, prove him wrong, and prove myself right. Now I do pull-ups as much as I can, and my back is probably my best feature. Ultimately, I have him to thank for that. How does what you do in the gym carry over to your life outside of it? This is where fitness is so crucial. If you&apos;re in the gym every day, you set goals for yourself, and it turns you into a goal-oriented individual. You can&apos;t stay consistent in the gym and stay on your diet and training without that spilling over into other areas of your life. In relationships, at work, you name it, you always have to put your best foot forward, and a lot of that comes from how you treat yourself and how you approach life and your body when you are training. It makes you a better person. Meal 1: Breakfast, 5 a.m. Meal 3: Lunch, 12 p.m. Meal 4: Pre-Workout, 3 p.m. Meal 5: Post-Workout Shake, 6 p.m. Meal 6: Dinner, 8:30 p.m.
Never count Nichiren Flowers out. When life told him to quit football, he kept charging ahead. Now he preaches the same message to Bodybuilding.com&apos;s customers! Brock had made the rounds in the gym. 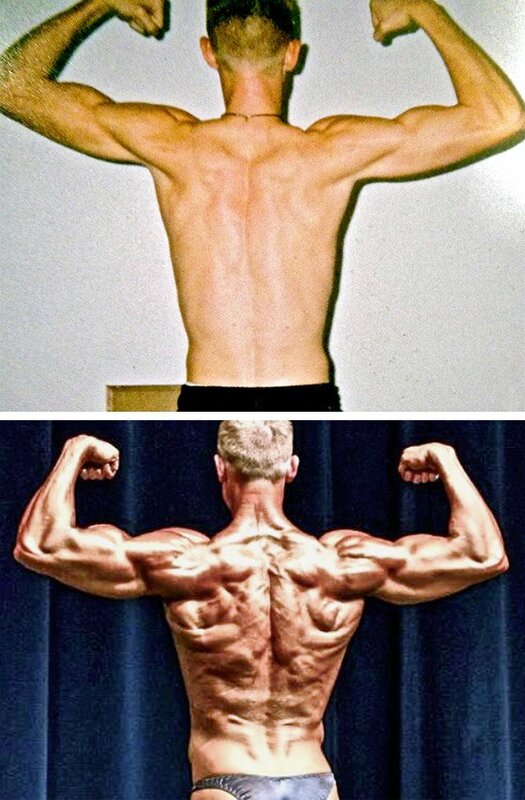 Once he dialed in his diet and began working at Bodybuilding.com, his competitive dreams became a reality!